Mark is one of the most in-demand librettists in opera today. In eight years, he was written librettos for nine operatic works, including: Volpone (Wolf Trap Foundation for the Arts, 2004 and 2007, music by John Musto, directed by Leon Major); Later the Same Evening (National Gallery of Art/University of Maryland, 2007, Manhattan School of Music, 2008, Glimmerglass Festival, 2011, music by Musto, directed my Major), Bastianello and Lucrezia (New York Festival of Song, 2008, music by Musto and William Bolcom); Rappahannock County (Virginia Opera, 2011, music by Ricky Ian Gordon, directed by Kevin Newbury); The Inspector (Wolf Trap Opera, 2011, music by Musto, directed by Major).Other operatic works include Three Lost Chords (Toronto’s Luminato Festival, American Opera Projects) and A Letter to East 11th Street (American Opera Projects and VOX). As a lyricist, Mark penned all of the lyrics for Songs from an Unmade Bed, a theatrical song cycle with music by 18 composers (New York Theatre Workshop, 2005, directed by David Schweizer). The show has since been produced in many venues around the world. Other musicals for which he has written lyrics include: And the Curtain Rises, book by Michael Slade, music by Joseph Thalken (DC’s Signature Theatre, directed by Kristin Hanggi); The Audience (The Transport Group, directed by Jack Cummings), Splendora, book by Peter Webb, music by Stephen Hoffman (American Place Theatre, directed by Jack Hofsiss), Akin, music by Richard Peaslee (Music-Theatre Group), and Light Shall Lift Them (Harvey Theatre, Brooklyn Next Wave Festival). Recordings of Mark’s works include the Grammy®-nominated Volpone, (Wolf Trap Recordings), Later the Same Evening (Albany Records), Bastianello/Lucrezia (Bridge Classical) and Songs from an Unmade Bed (Sh-k-Boom Records). Songs from an Unmade Bed is also published by Bill Holab Music. 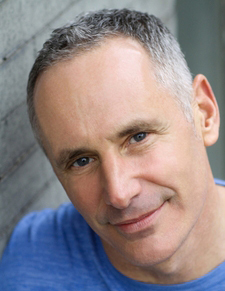 Mark’s awards include: first recipient of the Kleban Foundation Award for Lyricist, two Richard Rodgers Awards from the American Academy of Arts and Letters, a New York Foundation for the Arts Playwriting Fellowship, three Drama Desk Award nominations, a Rockefeller Foundation Award, a Jonathan Larson Performing Arts Foundation Award and a Grammy nomination.